A full body workout is usually what alot of people seek since you can accomplish exercising your body as a whole and lessen the amount of training days required during the week. One hour training programs work the best because they are running off of your carbs for energy, while performing moderate cardio and strength training exercises. 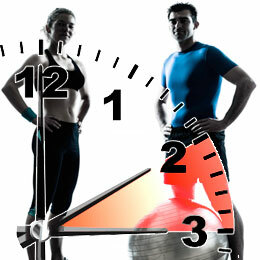 An hour of straight cardio differs because you will bypass the use of carbs and begin to use fat for energy. This is not a bad thing necessarily, but you will not be training your body as a whole. A compound lift is generally easy to learn and forces your body to train harder through the use of multiple muscle groups and joints. Regular exercises called isolation training target a specific muscle group and the joint that helps perform the action. Multiple joint exercises are more beneficial not only because you are doing a full body workout, but also because you are promoting the release of free testosterone, which is great for both men and women during training. Compound lifts work the way they do because muscles are being recruited to perform the movement under contraction; muscles are being used to stabilize the body; and muscles are also keeping your body in proper form. Compound exercises can also be referred to as “big lifts” or “core lifts”. The reason being that they are performed during the beginning of a workout, usually since most of your energy should be used on them first. These common exercises probably look familiar to you and are going to be the primary focus when it comes to full body training. Before diving head first into a full body workout, you need to understand how rest and recovery work first since it is a bit different from traditional training. A full body workout means all your muscle regions are being contracted, which means you require a 24 hour rest period of no training afterwards. This gives your body enough time to call upon nutrients for muscular support, repair, and growth. Rest also implies you should be eating healthy nutrients to replenish the ones lost and to support new muscles being gained. Protein is a primary nutrient that is essential for health and keeps the muscle soreness to minor levels. 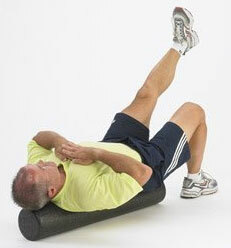 Stretching will also speed up the recovery process and enable more nutrient dispersion into your bloodstream. Eight hours of sleep is recommended, and the minimum amount is six hours. You have to get plenty of sleep if you wish to benefit from hour long workout programs. These two terms are also determining factors of whether or not your workout is going to be successful. Load implies the amount of weight that you will be using for the exercise. For example, a barbell with 90lbs. on it means a load of 90lbs. Volume is different because it pertains to the amount of sets and repetitions used to achieve your goals. Heavy loaded workouts may help some people, but you really only need loads that are moderate or light. Moderate means you can perform 8-10 repetitions and is used for muscle gains and strength training. Lighter loads are when you can perform 12 or more reps in a row. This type of load setting is intended for fat burning and increasing muscular endurance. A full body workout can be created with two different types of categories. This is nothing but compound lifts with some cardio, or one compound lift + one isolation lift per major muscle region with some cardio. The best thing to do is perform both full body workout categories alternating weeks. The first week could be compound only and then the second week compound with isolation. High intensity interval training (HIIT) is a great way to perform a full body workout, but only 15-30 minutes is required for this type of training, and the intensity levels for this are a bit high unless you have enough training experience. The following two examples can be used for your training weeks. There are far too many exercises to fully list, but the best exercises for specific muscle groups have been provided. Train three days a week with a 24 hour rest between each training day. Perform a 10 minute cardio routine following each workout program. You can run on a treadmill, elliptical, machine bicycle, or even the stair stepper. Jump roping is also another option, which you would perform x5 sets that last for 45-60 seconds of straight jump roping. 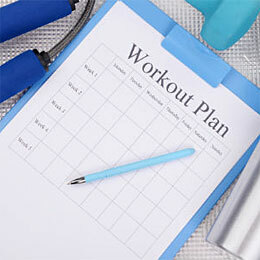 You can easily get a full body workout plan in with just an hour a day for three days a week. This is plenty of exercise to stay in shape, add a little muscle, and shed a little body fat. The intensity level of the provided workouts is moderate, so if you are a beginner perform the first week with lighter loads and see if you should increase the load.